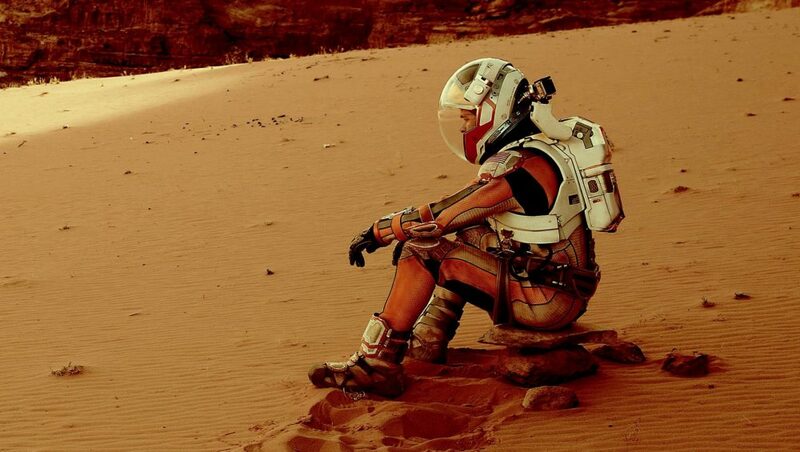 From the makers of fanciful emails which claimed that the “Prince of Nigeria” needed our help in transferring his money to the United States, now comes a new and even more innovative scam email, titled the ” Nigerian Astronaut Lost in space, Needs $ 3 million to get home”. This email, which has more crater sized loopholes in its crafty plot than the sinking titanic, claims that a man needed a mere $3 million(Approx more money than we have in rupees) to rescue a Nigerian astronaut who was left behind awful Russians while on a space voyage. 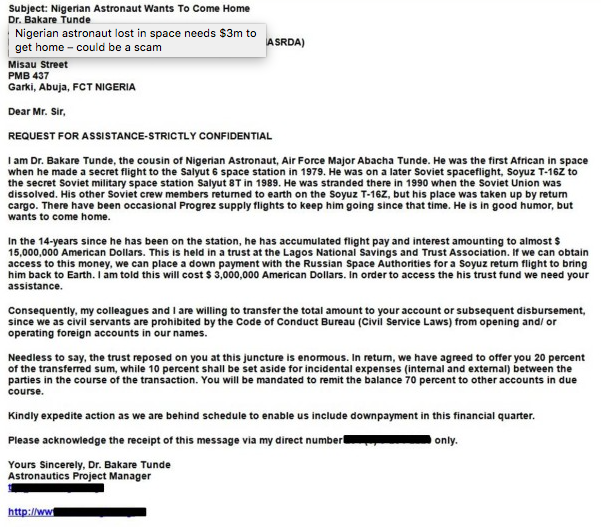 The email talks about the Nigerian Astronaut, Air Force Major Abacha Tunde, the cousin Dr.Bakare Tunde who has been stuck in space since 1990 for “14 years” and they are looking for a way to bring him home, by paying $3 Million. For humanity’s sake, let us hope against hope that this email was meant to be a prank, and not an actual scam, because if it was indeed meant to be one, then the collective intellect of human kind just took a major pounding because this one email.